Tel: +91 40 6544 1116 , and svs mob num : 7337437783. Tourism,Family visit,Participating in private events,Graduations,attending Marriages. from 1 Day to 6 months. for Schengen visa,up to 90 days. 3)multiple entries ( entry for multiple times within the duration). A Business Visa is strictly given to people who would really like to make a business-related trip to India like creating sales or establishing contact on behalf of a company outside of India. ... spouse and dependent members of the family accompanying the applicant should apply for an Entry Visa (NOT traveller Visa). Business meetings, negotiations, training, product, Product installation, product testing, workshops participating, product launch, business research, business set up(not for themselves), Participating in exhibitions and business events. short term - 1 day to 6 months. Long-term-1 day to 10 years. A valid passport and visa are needed to attend a conference in India. 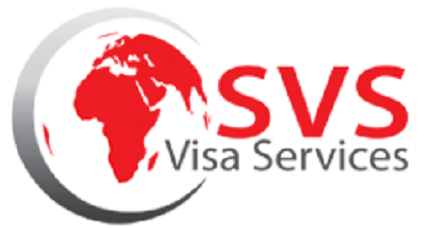 ... Conference Visa instructions are for visas issued to attend a conference/seminar/workshop being organized by an Indian office. 1) Government official conference, for medical and health innovation program. duration as per conference 2 days before and 2 days after with conference days. Note: JOURNALISTS only eligible for a journalist visa. 1 Day - 6 Months. single entry, double entry and multiple entries. mode of travel: one journey through one of the areas by fly and exit would be through other means. No.of Entries: Single Entry and double entry. Student visas are non-immigrant visas that don't need the holder to get citizenship. Any prospective student seeking education in another country must acquire a student visa for that country. 1) Primary student visa (0-5) student visa. Short-term Student visa: less than 90 days. Long-term student visa: more than 91 days up to 2 years. A valid passport and visa are needed for visit India. A Medical Attendant Visa will be granted to up to two attendants accompanying an individual granted a Medical Visa. The attendants ought to be blood relatives of the person granted the Medical Visa. To take care of Patient. Short term employment: for 6 months. Long-term employment: from more than 6 months and up to 3 years. up to 5 years. (can earn money by doing job). Purpose: project development,testing and delivery. in this visa, the person can earn both in two countries. No.of Entries: multiple entry visas with terms and conditions. A 'MISSIONARY VISA' is issued to persons coming to India for spiritual purposes or to join a foreign Missionary organization in India approved by the govt of India, not involving Proselytization. A valid passport and visa are required for research scholars and professors, or participants attending research conferences, seminars and workshops. Ordinary Passport will be having (Navy Blue Colour) Passport. this Passport will be issued for Normal Public. Special Passport will be having (Maroon colour) Passport. This Passport will be issued for Political people. Official Passport will be having (White Colour) Passport. This Passport will be issued for Government Higher Officers. Diplomat Passport will be having (Maroon colour) Passport. an Ordinary Passport has 36 or 60 pages. it is valid for 10 years from the date of issue and can be renewed for another 10 years.